Kothamalli thogayal is a very tangy and spicy one. Be it paruppu thogayal, onion thogayal or coconut thogayal my mom, sis and dad love thogayals a lot. 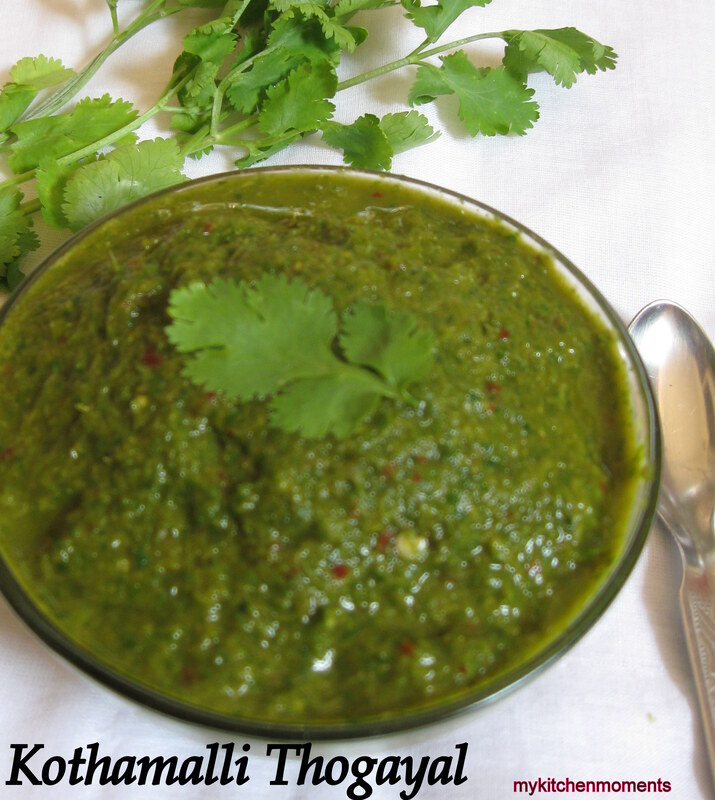 So here is the kothamalli thogayal recipe that i would like to share in my blog. Remove the root part and the stem part of the coriander leaves, wash, chop and keep aside. Roast the urad dal and red chilies till golden brown. Once it cools down, grind the red chilies, tamarind and salt, chopped coriander leaves, roasted urad dal, two tbsp of water and grind to a coarse paste. Serve with rice or idly or dosas! You can keep the kothamalli thogayal in the refrigerator and use for 3-4 days. But it hardly lasts that long in my home! !